Before we get into The Wealthy Affiliate-Open Education Project and education in general, let’s consider a fairly fundamental riddle: How does Education Happen? Click on Image to view my profile at Wealthy Affiliate University. 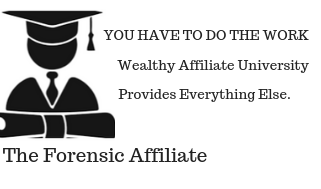 Hi, Paul Mindra here…your host and Online Guide here at The Forensic Affiliate. Pretty difficult to compete with words of wisdom coming from the likes of Confucius and Salman Khan but I’ll give it a go and I will make use of external links and references to guide me through the process. Honestly speaking… For the most part, Confucius very often just confuses me. But, obviously some value is served behind. Confucius principles have commonality with Chinese tradition and belief. I’m not going there in too much detail, but… He championed strong family loyalty, ancestor veneration, and respect of elders by their children and of husbands by their wives, recommending family as a basis for ideal government. Please leave any thoughts you may have regarding confucianism in the comments section at the end of this post. “…Confucius is widely considered as one of the most important and influential individuals in shaping human history. His teaching and philosophy greatly impacted people around the world and remains influential today.” – Source: Wikipedia. Salman Khan, founder of Khan Academy, on the other hand, I can understand a little more easily and can resonate with. He too is changing the way the World learns. Centuries from now, we will look back at Salman Khan and revere him in the same sense that many look at Confucius. Education is something that I have always been passionate about and I promote the ideas behind learning. If we are not continuously learning, then chances are that we are not progressing. I am a big fan of everything ‘Wikipedia’ and would like to see the movement of the traditional curriculum of ‘Higher Learning’ migrate to a more ‘Progressive’ movement on the Internet. I believe that everyone should have access to at least a ‘basic level pre-tertiary education’ and that this basic level education should be free. Basic literacy, numeracy and the ability to communicate, complete tasks and work with others are ‘Life Skills’ that are extremely important because they provide us with the baseline skills to survive as people in the World. “It’ll be a great day when education gets all the money it wants, and the Air Force has to hold a bake sale to buy bombers.” – Author Unknown. I’d like to go over The Wealthy Affiliate Open Education Project, other Open Education Resources, and Traditional Education as well. I’d like to touch on Student Loans, Student Debt, why I chose The Open Education Platform here at Wealthy Affiliate and also why I promote it. Then I would like to divert to the Wealthy Affiliate Free Training “Starter Membership” and “Bootcamp” programs and come back to which countries the program is currently not available in and why. Finally, I’d like to wrap it up by laying down some realities about what Wealthy Affiliate offers so that you can decide if going back to a Paid Open Education Platform to ‘Learn’ legitimate ways to make money online is the right thing for you to do. Are You Sure That An Online Business Is For You? Why Do You Want To Start A business Online? 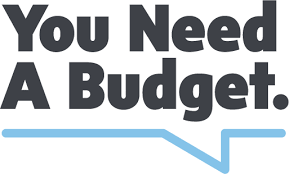 You Need A budget To Get Started – How Much? April 4th, 2012, marked a very special day in the history and evolution of the Wealthy Affiliate Internet Marketing Platform. “Today we are happy to announce the most interactive, robust and powerful Internet Business training community anywhere…The Wealthy Affiliate-Open Education Project.” – Kyle Loudoun. When Kyle Loudoun & Carson Lim founded ‘The Wealthy Affiliate’ back in 2005, it was started as a ‘Keyword List’ Membership site and nothing more. By 2012, Wealthy Affiliate had evolved to become the best online Internet Marketing training platform anywhere in the World. 7 years of experience had taught much, with almost daily evolution for improvement and ease of platform use. The Open Education Project, nicknamed “Where Do You Find What You Are Looking For” was now a collection of all their and member ideas from the last 7 years and the most robust, powerful and “success creating” system based on change and innovation was released. People typically, do not like change. Wealthy Affiliate members however were unbelievably responsive to this change. It now gave them the most power they had ever had to learn, to network, to interact, to engage and most important of all, to succeed. This platform further allowed the members to ‘teach‘ training courses to the community and in return receive credits to further enhance their presence online or convert the credits into cash as they pleased. So what exactly is “Open Education,” and is it a future revolution in the making? “Open Education is a philosophy about the way people should produce, share, and build on knowledge…” – opensource dot com. “Open education is education without academic admission requirements and is typically offered online. Open Education broadens access to the learning and training traditionally offered through formal education systems. The qualifier ‘Open’ refers to the elimination of barriers that can preclude both opportunities and recognition for participation in institutional-based learning. One aspect of openness or ‘opening up’ education is the development and adoption of open education resources.” – Source: Wikipedia. 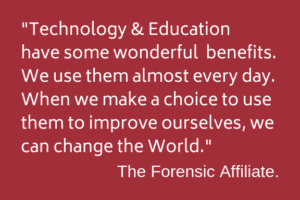 – Source open education week dot org. 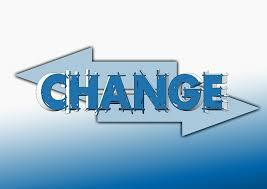 The Only Thing On The Internet That Is Constant Is Change? The only way to adjust to this rapid change is to be effectively involved in solid, evolving platforms of education that embrace the advancements of change. Buying e-books, courses, support programs and other mentor ships no longer make sense, are becoming outdated, and in my opinion are a thing of the past. We can take action and control into our own hands and not be reliant on the so-called push-button success programs of others. The Wealthy Affiliate ‘Open Education Project’ might just be the only place we need to learn how to succeed online and at the same time make honest, self earned money. Yes, money earned through our hard work, an unmatched syllabus and the education and experiences volunteered from others. There is another side of Open Education that is purely devoted to learning traditional education in the 21st century way and I would like to bring it to your attention. Not only am I a Wealthy Affiliate student-member, I am also an active participant, part-time student and big time advocate of Khan Academy. It is a place for everyone, where we can learn anything forever and do it all for free. Let me tell you, if this platform had been around while I was in high school (mid seventies), I would have “breezed” through Calculus, Integration and any other challenges that I had faced within the curriculum offered back then which is probably the same curriculum being taught today. 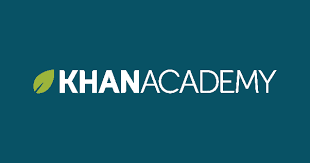 The Khan Organization produces short lectures in the form of ‘You Tube Videos’ and all Khan Academy content is available for free at www.khanacademy.org. The website also includes supplementary practice exercises for educators. All resources are available to users of the website. The website and its content are provided mainly in English, but is also available in other languages like Bengali, Hindi and Spanish. In the video below, “Lets use Video to Reinvent Education | TED TALK 2011,” Salman Khan talks about how and why he created the amazing Khan Academy and demonstrates how his Online School influences not only students but also educators through a pilot project implemented in the Los Altos School District in California. What I found kind of interesting is that towards the final portion of the video, Bill Gates, yes, Bill Gates is actually picking Salman’s mind in a manner of “Why didn’t I think Of that.” Doesn’t really matter, the Gates Foundation and Google are the two largest contributors to the Khan Academy Initiative. Khan Academy is also an amazing source for parents that are teaching their children through ‘Home Schooling’ which is another concept that I do favour and one that is going to gain more acceptance over time. Click image to read a review of this book from bestschools.org. WOW! Now that’s what I’m talking about and getting excited about. Make learning meaningful for each and every student. 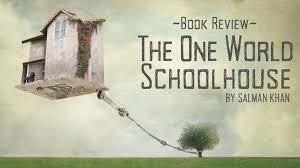 Read the entire review by Daid Ferrer at Best Schools dot com. Students will learn at a level and speed that best suits their own individual needs. My approach is ‘slow and steady,’ others go faster or even slower. That is why I always recommend Yearly Membership here at Wealthy Affiliate University. Khan Academy is the ‘Epitome’ of Open Education because it is offered completely for Free. A long story made short…Education is essential for nearly every type of job or career, and in many cases, education makes the difference between being able to perform a job safely and accurately and being unable to perform a job at all. This is a topic of many debates. Below are my thoughts on getting educated the traditional way. Image courtesy of My Book Of Quotes. 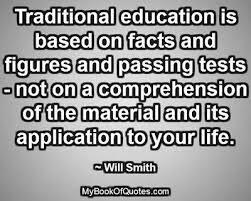 The challenges with getting educated the traditional way can be many. Probably the most prohibitive barrier is expense. It is also extremely time consuming and the efforts are not a guarantee of good job opportunities upon completion. How many times have you heard students coming out of school say ‘I have a degree but right now, I’m working in a warehouse doing shipping and receiving’ or at least something to that effect? Yes, ‘the traditional way of getting educated’ was in fact the only way to get educated and in its early days was only available to the elite. Times changed and education became more available to the masses with the implementation of ‘loans for higher education’ in the mid 1800’s. With that progress, education costs have now placed the World Economies (in particular the USA) into debt situations that may never be properly dealt with ever. Recent reports indicate that 44.2 million Americans are carrying a total student loan debt of 1.3 Trillion Dollars Plus. That is 12 zeros after the 1: $1,300,000,000,000.00. Wow! Staggering just to think about it. If you’re struggling with debt, student loan forgiveness could save you. Read More Here. 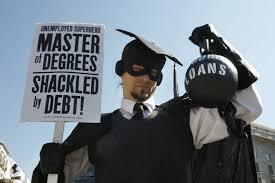 Student Loans and Student Debt, in my opinion are a crime. Not necessarily the loan itself, but more so the repayment schedules and Interest. Education, in whatever form it comes in is a fundamental ‘Human Right’ and essential for the exercise of all other human rights. Student Loans and Student debt however, in my opinion are a Crime. I’m by no means an expert in the field of student loans. 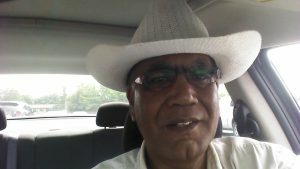 My only ‘Post Secondary’ education was a 2 year Computer Programming and Systems Analysis Course that I took through a Private Career College back in the late seventies. My Dad paid for it so I have never been a victim of ‘Student Debt.’ Thanks, Dad. That’s all well and good if you know what you want to do for a career, because then you can focus on the pre-requisites that you need. These are usually high demand ‘specialized studies’ in medicine for example. Completed successfully, chances are good that you will get a good return on Investment from your very expensive University Education because you can be employed right away after graduation. But if you go to College or University and after graduating you decide to do whatever suits your ‘whims,’ chances are that you are going to end up with a job you don’t really like and you are going to have lots of student debt to show for it. You go to school for 4 years at let’s say Michigan State (see their fees Here) and graduate with a ‘Bachelor of Business Administration (BBA) undergraduate Degree’ and a student debt of say 80K . 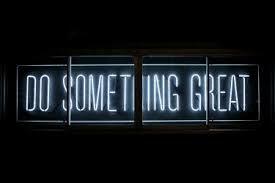 Your options are to go further with post graduate studies to get your MBA (more debt) or start looking for a job. Please keep in mind that this is just an example of Student Debt and is probably not typical to any one personal situation. So, you start looking for a job. Here are the 50 best paying careers with only a bachelor’s degree. Shortly after you start your search, the ‘Interest Clock’ on your student loans will start to tick. You are fortunate, you get lucky, and land a good entry level job that pays you 60K/year (I’m being optimistic). Depending on where you live, that will equate to about $45K/year take home. Is that going to be enough to pay the bills and maybe plan for a future family? I guess this will depend on your lifestyle. Let’s say you budget 4K/year per year to pay off your student loan. Well, that’s going to take 20-25 years (if not longer because of the Interest). Do you see where this is going? See and use the Student Loan Calculator Here. 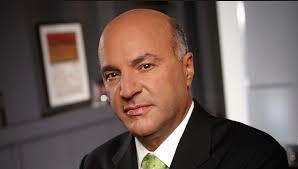 Kevin O’Leary, a very successful Canadian business man says that 40% of your paycheck should go to paying off student debt before establishing your personal lifestyle. Watch the short video below. Fellow ‘Shark Tank’ investor, and American Businessman, Mark Cuban says that paying off all your debt in full is the best investment anyone can make. “Whatever interest rate you have – it might be a student loan with a 7 percent interest rate – if you pay off that loan, you’re making 7 percent. That’s your immediate return, which is a lot safer than trying to pick a stock or trying to pick Real estate, or whatever it may be…” – Mark Cuban. For those that are less fortunate, and leave school without a job, they come to the realization that it is becoming more and more commonplace for jobs to shift overseas. If companies can find more skilled labor elsewhere and at a cheaper price, they will do it. This will mean that over time, ‘middle classes’ will become ‘lower classes’ because they are forced to work for less money in order to compete? We are already beginning to see this happen. I chose the the Wealthy Affiliate Platform because it fulfills my current educational needs, and allows me to put into practice what I am learning at a pace that best suits me. Being a Career Chef of 35 years plus, my personal story is that I have some fairly debilitating health issues and I am basically no longer able to be ‘gainfully employed’ in the only profession that I am good at, Professional Cooking. I finished my career officially a couple of years after leaving the Liberty Grand Entertainment Complex in Toronto and ‘putzed’ around for a couple more years deciding what to do next. I realized that starting and establishing a new career on The Internet and working from home would be the only viable solution for me. After much research and some failed push button, do it for you, no hassle, just rake in the money programs, I arrived at Wealthy Affiliate University in May of 2016. I calculated that I could get 4 Years of education and training here for less than the equivalent of a couple of months of formal education through a local College or University. That, plus the fact that I could do it at my own pace and would not have to leave the house. There are some some days that I cannot even get dressed, never mind leaving the house. I live alone (I never re-married) and to be quite frank with you, I neglected planning properly for my retirement years. So it was decision time. All that was left for me to do was to establish if this training at Wealthy Affiliate was indeed of Quality and Value. Could it really show someone like me with very little Internet knowledge learn how to start a business online? Well, the decision to get started was not that hard, because to take the ‘Test Drive’ was completely Free. Other platforms that advertised “Free” wanted my credit card information and then there were others that advertised ‘Free for just $1.” What’s Up with that? A contradiction in terms to say the least. I have been here for over two years now, and the only reason I might consider moving on is if I ever outgrow the Wealthy Affiliate Curriculum which is highly unlikely because it continues to be dynamic when it comes to keeping up with Internet and Technology Trends. Keeping up with change and making study material readily available at all times is the core principle behind the Open Education Program at WA. I wholeheartedly promote the platform because I have experienced (and continue to do so) my personal growth through learning again, and the confidence that I have gained by applying that learning and sharing my new found experiences with others like you has been beyond expectation. This program is not for everyone (I will explain this in somewhat more detail at the end of this post) but it is definitely worth trying because all that is required for account set up is your full name and email address. If you have an open mind, the willingness to learn, and the ability to follow direction, then creating a username and password to take the test drive should not be that difficult (write these down though). Choosing a correct username is very important on your journey on the The Internet. Here’s how to and why. The ‘Test Drive’ Is Completely Free. How to Start a Business Online. Seven tried and true steps for attracting visitors to your site–and getting them to buy. Courtesy Entrepreneur dot com. The Wealthy Affiliate Open Education Project is an education initiative that teaches members how to prepare and set themselves up for a journey into the world of IM (Internet Marketing). The focus of the training is affiliate marketing but by no means is it limited to just that. Wealthy Affiliate is more of a service built around a community and is not a plug and play product. Whether you are running an offline business, an online business, or looking to start a business from new, you will need to have a home base and resource center for your business like the one offered at Wealthy Affiliate University. Whichever platform you choose, make sure it feels like ‘Home’ and comes with 24/7 help and support because the missing piece of the puzzle to online success is your storefront. Without a well constructed Website that provides lots of useful information, quality content and value, you will not succeed. 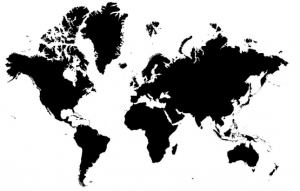 The Wealthy Affiliate Open Education community is Worldwide which means that regardless of your time-zone, there will always be members online somewhere to lend a hand or guide you in the right direction. The ‘Free Starter” membership offered at Wealthy Affiliate is probably the best way to get a taste of what they offer and establish for yourself if they do indeed provide what you are looking for, and more importantly, decide if their platform will fit in with your existing schedule and style of life. Here is a video from 2014 published by Ryan explaining what you get. The Six Lesson Online “Certification Program” that Ryan talks about is actually now a 10 lesson program and yes, it is still completely free. It is designed for ‘Specific Niche Marketing’ and will serve those that have a particular business or idea already in mind very well. On top of the Certification Program, Wealthy Affiliate has also added a “Free 10 lesson Boot Camp” course that introduces how to promote their ‘Affiliate Program’ in the “Make Money Online” (MMO) niche. Let’s have a look at what the Free Membership has to offer for both the Online Certification and WA Boot Camp affiliate program below. Level 1 – Online Entrepreneur Certification. Click on the image above to view the Online Certification Homepage. This is a 10-lesson course hosted by Kyle Loudoun (Co-Owner) and is part of the Wealthy Affiliate Online Entrepreneur Certification. It will walk you through the steps of creating a successful online business that generates revenue. This getting started course (level 1) is your first step to realizing your potential as an online business owner. The videos are really good. This step-by-step guide is designed for those that have a chosen Niche or Direction that they want to pursue. Each Module comes with Video Assistance and tasks that you are required to complete. Go Through The Entire Online Entrepreneur “Free Starter” Course Here. If you are new to affiliate marketing, finding your passion and choosing your niche can be a confusing task. Very few people arrive here knowing exactly what they want to write about and accomplish. That is why ‘Affiliate Boot Camp’ is a great alternative for them. The Wealthy Affiliate referral program has the direction already outlined for you in the ‘Make Money Online’ (MMO) Niche. It also pays up to 50% commissions and is a leading industry example. Understand something though…the MMO niche is one of the most competitive and to be really successful in this niche, you have to distinguish yourself from all the others. Level 1 – Boot Camp Training. Click on the image above to view The Wealthy Affiliate Boot Camp homepage. There are a lot of other people in the same boat you are – so, you can learn from each other. The training for ‘Affiliate Boot Camp’ gets right down to things and there are fewer dots to connect than in the Online Entrepreneur Certification training. The Online Entrepreneur training is unparalleled if you know what direction you want to go in right away. If you have arrived at Wealthy Affiliate with some Internet Marketing experience with you (SEO, Content Creation, Keyword Research, Analytics, and more), then you could excel with the Boot Camp program and see results almost immediately after being indexed in Google. So which training should you start first? My answer to the question is – ultimately do both because what you learn from one will only enhance your knowledge from the other, but do not try to do them both at the same time. You will lose your focus which will lead to discouragement. Go Through The Entire Online Bootcamp “Free Starter” Course Here. Identity Theft Is Exploding in Developing Countries. New data reveals the global circulation of stolen identities is leading to major shifts in cybercrime worldwide,…read more here at gizmodo dot com. Wealthy Affiliate is a completely spam and fraud free environment. They have a ‘Zero Tolerance’ policy which is actually a really good thing to have. It protects not only their interests but also the interests of the members. Everyone has a strong sense of security not only for themselves but also their business. Apparently this abundance of spam and fraud was coming from the countries listed below. This may sound a bit unfair, but I do not make the Wealthy Affiliate Rules. It is unfortunate that the many should have to be penalized for the actions of a few. But I did say that Wealthy Affiliate is an ‘Open Education Project’ right? I have created this site in such a way that even if you are from one of the countries mentioned above, you can still view the ‘Free’ courses before joining. The only thing that you will not be able to do is set up a free account to ‘participate’ and ‘interact’ in the free training step by step. But you can get a really good idea if this program is right for you. Whenever you see a ‘Pop-Up’ to register, just close it and continue in your learning. Here again are the Free Courses. I would like to make it completely clear, that I am an advocate of the Platform that I am using and that I would recommend it to anyone that has a desire to start a business online in a smart and structured way. Since arriving here back in mid 2016, I’ve always maintained that Wealthy Affiliate University is better ‘Experienced’ rather than ‘Explained,’ and the free starter membership offered is the best way to see if the platform is right for you. 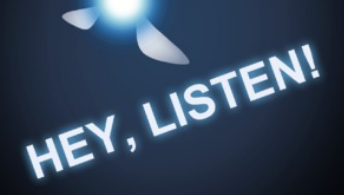 Wealthy Affiliate has obtained countless effective reviews from countless satisfied users. It has been described as “A super highway platform loaded with assistance and training materials that helps users in constructing their official on-line enterprise from the floor up and those that stick to the ongoing training and education will achieve their goals of owning a long term sustainable online business.” WOW! very long sentence but true. Many new members prior to upgrading to a premium membership want to know how much money and how fast the money can be made from this system. First of all, this is not a “System To Make Money.” It is a “System to Learn How To Make Money.” There is a very subtle difference and you should understand what this difference is. Secondly, most of us know this is not a cut and dry answer as there are far too many variables that can change things to give a straight forward answer to this question. It’s not all ‘Wine and Roses’ with anything you are going to undertake, especially if it is new territory to you. What works well for one person may not work as well for another. For me, I have chosen a new career path. I have short term goals and long terms goals. The most important thing I have to accomplish is to provide for retirement and the final years of my life, and with that in mind, I budget the costs of doing business and follow my long term plan very closely. 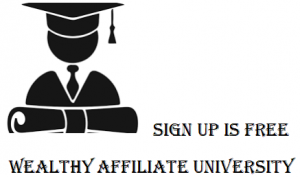 Wealthy affiliate University is working very well for my needs. Five to ten years from now, I will not have to worry about my retirement and death needs. Sounds a bit morbid, I know…but that is the reality that I face: Taking care of my needs financially. 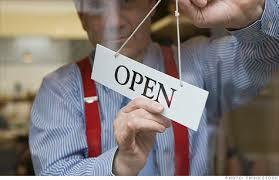 Ask yourself why do you want to start a business online? Do you want to start a blog? Do you want to sell your own product? Do you want to sell other people’s products? Do you want to just provide valuable information? Do you want to create a Membership Only website? What is it that you want to do? Write it down. Is your reason solely to make money? O.K. How much money? Write it down. 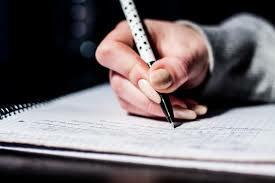 Do you already have the skills required to make the amount of money you have written down? If the answer is yes, then what has kept you back? Write it down. If the answer is no, then ask yourself if you truly have the desire and patience to build a website that people will want to visit, learn from and most importantly purchase from? Write down Yes or No. Are you willing to build the website imaginable for your chosen niche or vertical? Do you have the skills already to do that? If not, are you willing to work hard to learn how to create quality content, master Search Engine Optimization, create videos, and do a lot of research? Yes or No? Write it down. Would you be willing to continue working on a website for many months without ever being paid for said work? Would you be willing to write no fewer than 1000-2000 words of quality and relevant content per week ongoing? Yes or No? Write it down. Many ‘top bloggers’ and ‘pundits’ say that it’s getting more and more difficult to become successful online, especially in affiliate marketing (in the make money online niche) because of the competition. They say that it takes time to rank on Page 1 of Google and it takes even more time to become an authority in your chosen field so that people will listen to you. They warn that before you enter into this new world, you will want to consider some of these questions which I have raised above. I tend to agree with these top bloggers and pundits on most of their views i.e., The Make Money Online Niche is very competitive. If you have more No’s than Yes’s in your answers, then starting a business online is probably not going to be for you. And we have not even discussed yet if you have the budget to get started. I’m not trying to discourage you. I just want to give you a few realities of what will come your way. I joined in May, 2016 as a ‘FREE’ Starter Member and a complete ‘Newbie’ to The Internet. I followed the directions and had my account set-up almost immediately. I started building a free site using the Siterubix platform. I started by going through The Certification Program. By the end of the third or fourth day, I was confident that I had found what I was looking for. To be certain, I took advantage of a special promotion that is offered which is ‘First Month Premium Membership’ at Wealthy Affiliate for only $19.00. I felt the offer to be very fair. So now, I could experience first hand everything that Wealthy Affiliate would offer. After just the first week, I knew that this platform would meet and exceed my expectations for the four year plan that I had outlined for myself. At the end of the month, I upgraded to Yearly at $359.00 per year. For me, this made more sense than paying $49.00 per month because it saved me over $200.00 per year. [Update as of November 2018 – I took advantage of the Wealthy Affiliate ‘Black Friday’ initiative and now, I am grandfathered in at $299.00 per year lifetime membership]. Now I am locked in at $299.00 per year and I will never see an increase. I have allocated $400.00 per year as my total operating budget for my Open Education training here and I feel that this amount is very reasonable for investing into my future. Do you think that making this type of small investment leading into our future on the Internet is something that we should all do or do you think that this type of thinking is still yet another scam? Leave your comments way down below and thank you in advance. You must understand that the the path to success is a journey. Getting started for ‘Free’ is the way to go. Referrals that go on to Premium are those that want financial freedom instead of living paycheck to paycheck or no paycheck at all. If you would like to Get Started with no strings attached, you can do that too. Free Membership is the best way to start. No Credit Card or payment information required. I hope you have found this post to be helpful with your search online. It is so refreshing to know that you are a part of the community here at Wealthy Affiliate. I will touch base with you on our Internal Blog. veteran affiliate marketers out there should add to their tool box. What part of the World are you In, Kuu? as we have a couple of things in common.